Gold Sponsorships are more structured for state, regional or national companies. There is no limit on Gold Sponsorships. 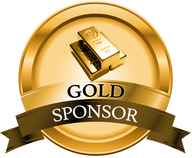 Any company in this industry can benefit from the Gold Sponsorship. 1 regular expo space at a 30% discount and entrance for 3 or fewer representatives for free. Additional representatives will be full price. 6 VIP tickets to 1 event which can be personally used or passed out to valued clients. Products or services will be listed in the NCTA Resources’ directory. Full access to the membership directory for marketing purposes. Logo displayed on the Sponsorship page of this website and be displayed on the homepage for 1 month. All logos will be linked to the sponsor’s website or on a landing page designed and paid for by the sponsor. Provide information 3 times per year to be included in NCTA’s member monthly newsletter. Please print the Sponsorship Agreement below. Read carefully and complete pages 1, 8 and 9. Make check payable to NCTA in the amount of $5,000.00 and include it with your Sponsorship Agreement. Once you clear the committee approval process a NCTA coordinator will be in contact with you to gather all information needed to get you listed on our website and mailings.